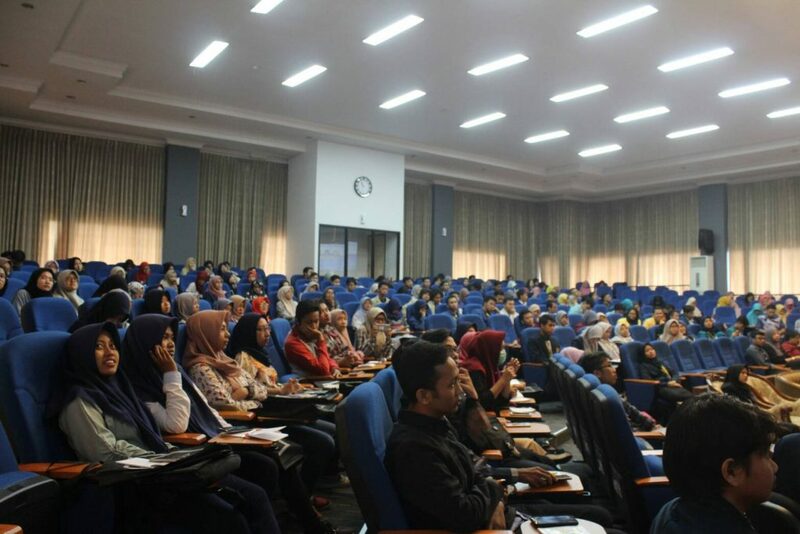 Malang – Sunday (22/04) has been held one of the series of the 10th National Student Scientific Writing Competition (Katulistiwa) in the 7th floor F building hall of Faculty of Economics and Business Universitas Brawijaya. With the theme “Observing the Power of Indonesian Economy: Fintech’s Role in Nation’s Development”, this seminar was not only attended by participants from FEB UB, but from various universities in Indonesia such as Medan University, Gadjah Mada University, Bogor Agricultural University, Diponegoro, and other universities. Katulistiwa 10 is one of the Work Program of Economics and Business Student (LSME) FEB UB which is held regularly every year. In this year Katulistiwa has captured abstract registrants very much, that is 500 more registrants. That is, the name of FEB UB is now increasingly recognized throughout Indonesia. Not only that, it is different from the previous year, because in this Katulistiwa 10 it not only consists of Technical Meeting, Presentation of 15 Finalists, Gala Dinner, and Field Trip only, but also National Seminar. Thus, the participants who attended this prime Katulistiwa seminar came from various universities in Indonesia. The seminar presented four presenters, including Arya Widianto (Vice President Amartha), Imawan Mashuri and Iman Supriyono (Jawa Pos Commissioner), and Prof. Munawar Ismail (Professor of FEB UB). “In an economic perspective, technology is a medium for increasing productivity. Any sophisticated technology if it does not increase productivity, then equals useless. Superior expertise to survive in the face of industrial revolution 4.0 is with creativity. ” Munawar. Then at the end of the session is the announcement of the winner of the Katulistiwa 10. The 1st winner is achieved by the team of 1st Institute of Technology Ten November, 2nd winner is achieved by the team of Sultan Agung Islamic University, 3rd place won by Universitas Negeri Semarang, 1st place runner up won by UB, 2th place runner up was achieved by Sepuluh Nopember Institute of Technology, Best Speaker category was achieved by Siti Qodriah from Universitas Brawijaya team 2, and Best Poster category was achieved by Sebelas Maret University Surakarta.